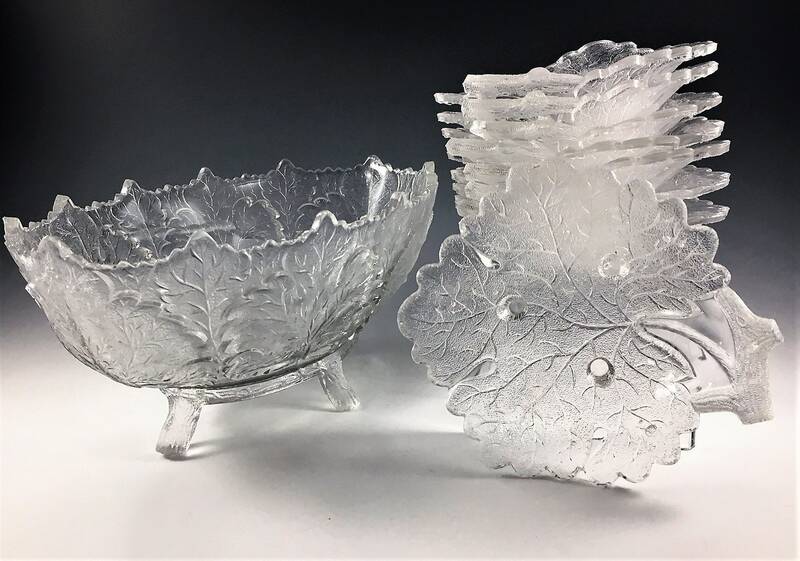 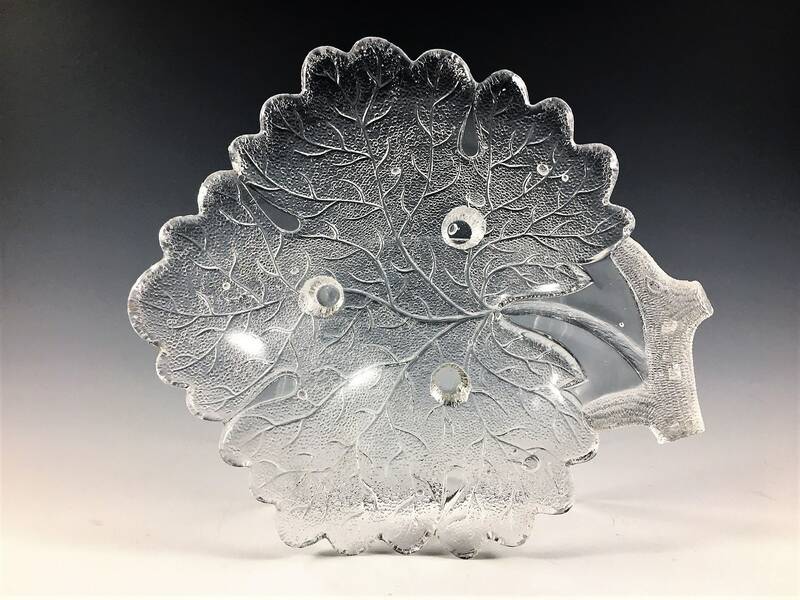 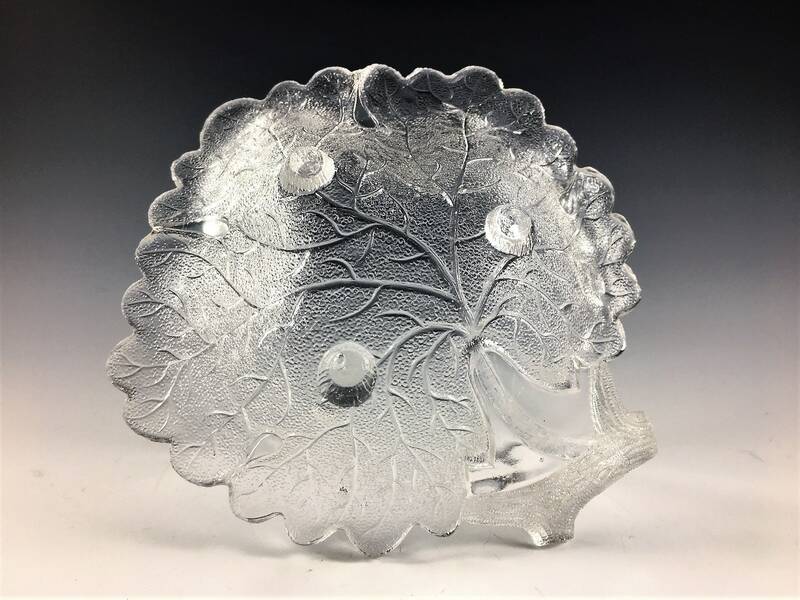 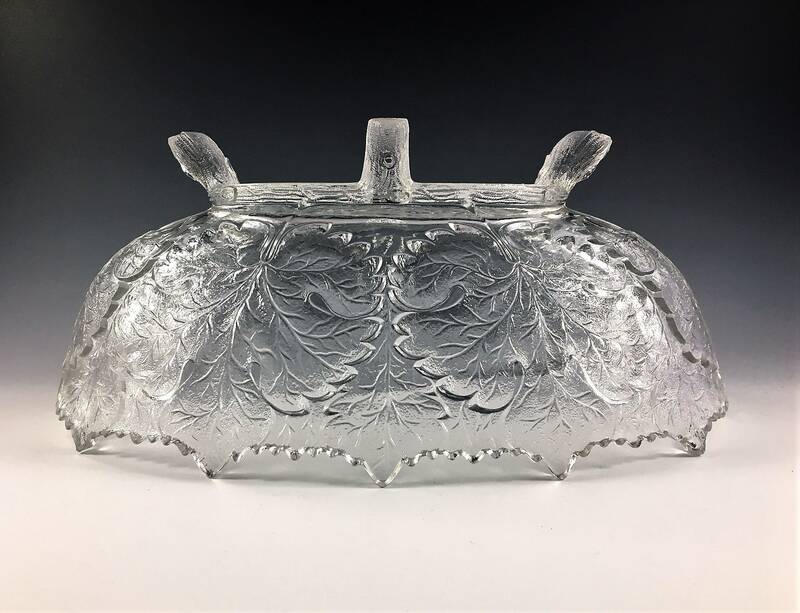 Featured is a stunning set of Early American Pattern Glass from Gillinder and Sons. 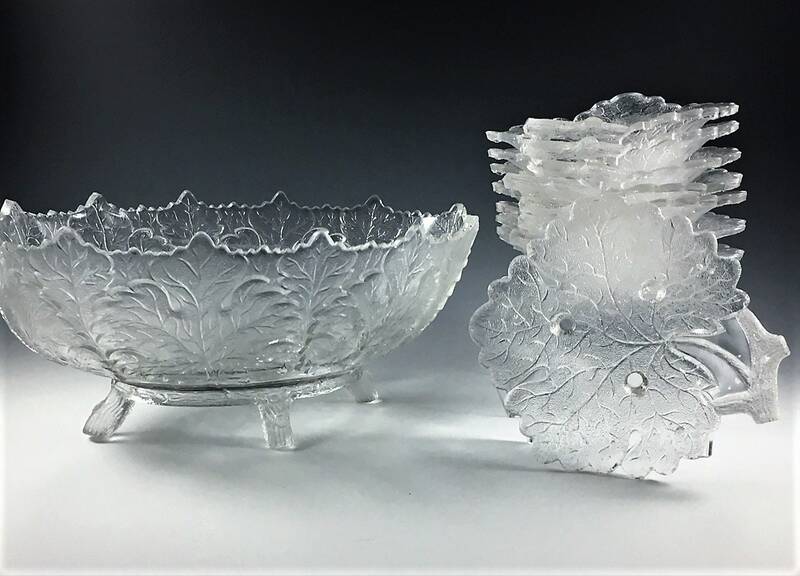 This 9 piece set includes a Master Berry Bowl and 8 smaller bowls from their Leaf pattern and is also known as Maple Leaf. 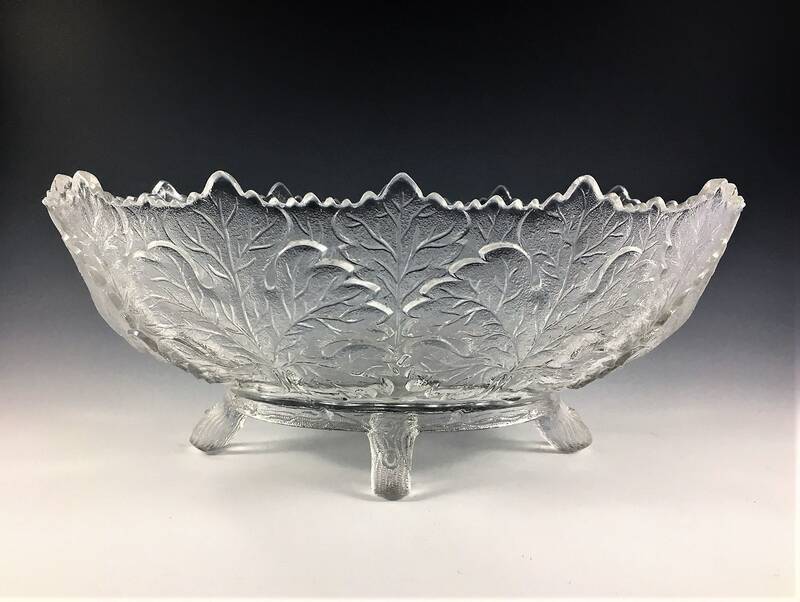 Produced in about 1880, the master bowl measures about 10 inches by 6 inches and 4 inches tall. 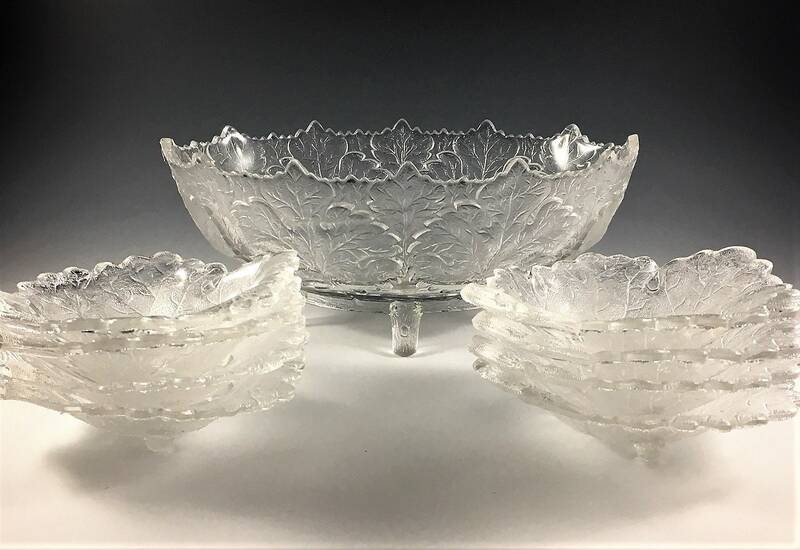 The smaller bowls are about 5 inches across. 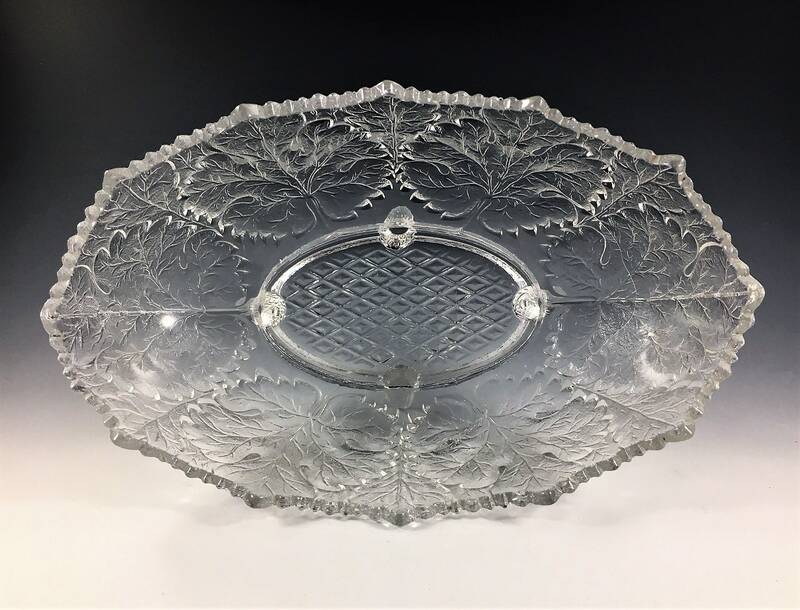 All 9 pieces are in excellent vintage condition free from any chips or cracks.